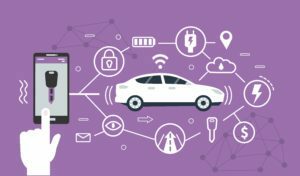 As Internet of Things (IoT) makes inroads into every aspect of our lives, from connected devices and products to appliances, one of the areas that has quickly taken shape and manifested itself in our daily routines, is connected cars. This entails an embedded internet connectivity based, communication capability in cars, to offer information, entertainment, ease, security, sophistication and comfort behind the wheel. In other words, connected cars are an end-to-end solution to a better, efficient, fulfilling and secure driving experience, powered by an in-vehicle system connected to the Internet. Connected car technology depends on a wide range of antennas, embedded software, sensors, and communication technologies, which includes making well-timed decisions with speed, consistency and precision. These vehicles are able to sense the atmosphere around them, send and receive signals, as well as interact with other vehicles. A technologically superior connected moving vehicle, is an archetypal IoT product having a computing power of roughly twenty computers put together. It has a processing capability of uploading up to 25 GB of data every hour to the cloud, and has 100 million lines of programming code linked with one another, along with dozens of actuators and sensors. Collectively, this entire system of connected technology helps in controlling the vehicle’s brakes and engine, keep tabs on the tire pressure, exhaust emission composition, driver behavior data, efficiency, wear and tear, safety and ward off emergency situations. All this makes connected cars not just capable modes of transportation, but a web of software-enabled mobile command centers. Personalized Experience- Personalized driving experience is already here. It’s only a matter of time when it gains precedence over vehicle’s brand, appearance or physical attributes. The key would be held by software, that offers personalized services, driving options and applications to car users. Software based user profiles, particular apps and preferences will take over the in-car experience. Security – Connected cars come equipped with roadside assistance systems, where emergency calls can be made to help drivers in case of accidents by contacting the authorities and resuce workers. Besides that, traffic situations, and collision warnings can be sent as the navigation system is connected to the city infrastructure. Drivers can be notified of traffic jams, accidents, debris, potholes on the road, among other things. Smart Navigation- Advanced features will be integrated that would come entwined with location based services, for example, your car can remind you to re-fuel and find the distance to a nearby gas station. The car will not only help you in estimating the time to your next destination, but suggest you the most suitable route on the basis of the weather conditions and existing traffic. Suggestion for best time to travel, most favorable route, advice based on your interests, behavior and preference would also be possible. Improved Vehicle Efficiency- Communication with road infrastructure, traffic signals will enable the car to reduce, increase or reach an optimal speed depending on the conditions of the lights. The cars will automatically start prior to the green light, optimizing fuel efficiency. They can even track driving patterns, measure vehicle’s wear and tear. Moreover, diagnostic information can be sent to the service stations in advance and predict the repair. 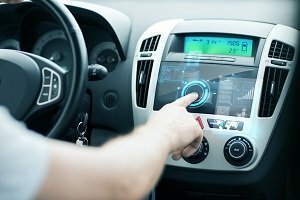 Entertainment Quotient- Connected cars would come equipped with high-end infotainment options. Web browsing technology will be embedded directly into the car, making it a mobile 4G hotspot, making your internet connection faster and better. Music streaming or automatically playing driver’s preferred tracks will get incredibly easy. Passengers will be able to rent/purchase media on the move. Interacting with infotainment systems through in-car assistants will get commonplace. Environment­ Friendly- Decline in exhaust fumes and emissions because of lesser congestion on roads and smoother traffic flow will reduce the carbon footprint. It would also mean no overcrowding in parking spots, and no delays on toll roads because of electronic pre-payment. Automated eco driving would help you avoid drastic acceleration or braking. Besides, perpetual in-car advice on speed and fuel efficiency would further reinforce low emission. 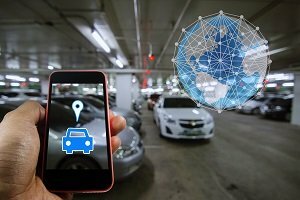 While a surge in IoT, Wifi and cloud solutions are pivotal in embedding technologies in connected cars, the exponential growth of Smartphones, and mobile apps and can be seen as a precursor to them. According to a research by Business Insider, 75% of cars shipped globally by the year 2020, would be developed using essential hardware required to connect with the internet. The innovation will not only revolutionize the in-car experience, but have a profound impact on car pricing, auto insurance, vehicular performance, digital services as well as on the monetization of cars. 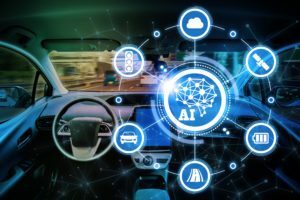 Car makers have already switched gears and have started focusing on software over hardware as connected cars, besides being efficient means of transport, would be seen as a complete technology product. The day isn’t far when the value propositions of car sellers will be entirely based on services such as interactive interface, quick processing ability, power and efficiency management, analytics and real time updates. The connected cars promise to bring about a paradigm shift for car manufacturers and consumers alike, where plenty of opportunities will arrive that will offer quicker, intuitive, smarter services, launching us comfortably into our daily drives.